MMFF 2013 Awards Night (Gabi ng Parangal), announcing the winners of the 39th Metro Manila Film Festival (MMFF), has just been held tonight, December 27, 2013, at the Meralco Theater. The entry '10,000 Hours' was the biggest winner, winning more than 10 awards. 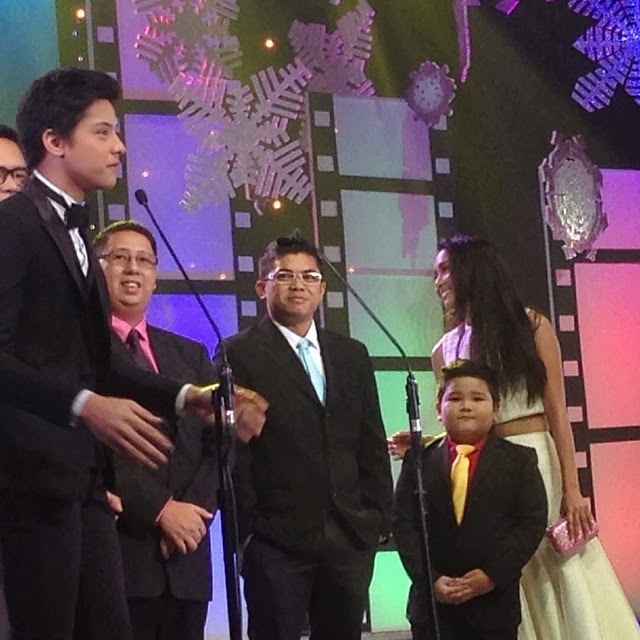 See the complete list of MMFF 2013 winners below. Currently among the Bottom 4 films (ranking 5th) when it comes to box-office performance, '10,000 Hours' starring Robin Padilla and directed by Bb. Joyce Bernal, emerged as the best film of MMFF 2013 (with no close competition at all) when it won a total 14 out of possible 21 awards, including Best Picture, Best Actor for Padilla and Best Director for Bernal. After this remarkable feat in the awards night, I'm hoping '10,000' will have a strong showing in the box office on the coming days. The 3 top-grossing films so far each had to be satisfied with just 3 or 4 awards. "My Little Bossings" won 4, "Girl, Boy, Bakla, Tomboy" had 3, while "Pagpag: Siyam Na Buhay" got 2, plus 1 special award for its male lead Daniel Padilla. 'Boy Golden' took home just 1, while the other 3 entries ("Kimmy Dora: Ang Kiyemeng Prequel, "Pedro Calungsod: Batang Martir" and "Kaleidoscope World") won nothing. Special Jury Prize (Full-Length) - "Mga Anino ng Kahapon"